The other day, my mom visited my brother and his girlfriend in Washington, D.C. They had brunch at their favorite restaurant, they went for walks, and they went to the Holocaust Museum. There, mom discovered the folio of her grandmother, Ruth Lyon, who was killed at Auschwitz. She is the namesake of both my mother, Ruth, and my daughter, Stella Borghesi Lyon. All we know about her comes from my grandmother who left Germany to go to Israel on a youth trip as a teenager and never saw her parents again. 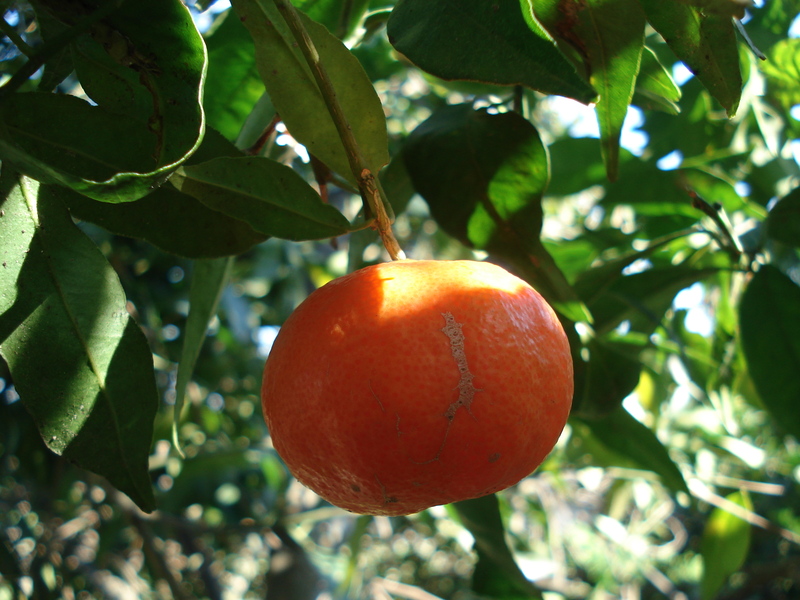 Once in Palestine, she changed her name and her language, and her privileged urban upbringing faded into years of labor on a young kibbutz, making oranges grow in the desert. Safta has almost nothing from her life before: a few photos, letters, and, briefly, her beloved bicycle (she could not live without it, she insisted) that Ruth somehow managed to ship to Palestine through the Red Cross during the war. But she had to give even that up to the politics of communal living. We visited Safta in Israel over the summer to celebrate her 90th birthday, and she said that her mother Ruth was just like my mother Ruth – petite, dark, strong, and beautiful. She doesn’t say much more, so we don’t know much more. We know very little about her, but that folio – a product of the Nazi’s meticulous record keeping – told us one more thing about Ruth Lyon: she was born on September 25th. Just like my little Stella, her great-great-granddaughter born exactly 113 years later. That’s a lot of orange juice…but it soaks in. This then, is kind of an ironic follow-up to my milk-braised pork neck post, but I think the timing fits. We absolutely adored this cake during our visit to Israel. My uncle Zion is a cake baker extraordinaire, and I always have him dictate the recipes he uses so I can recreate them at home. But this one is special. It’s not just a recipe that comes from my Safta, it comes from her life in Germany, before she lost her name, her belongings, her country and her family. I’d like to think Ruth Lyon made this cake. And I’d like to think that it means we can pass on more than just her name. We have her cake: it’s like we didn’t lose everything after all. This cake contains nearly FOUR CUPS of orange juice. FOUR. But it’s not swimming in it and it’s not over sweet. It’s moist and light and delicious with tea or for dessert (with whipped cream, naturally). You can use this recipe to make 2 smaller cakes or one large cake. 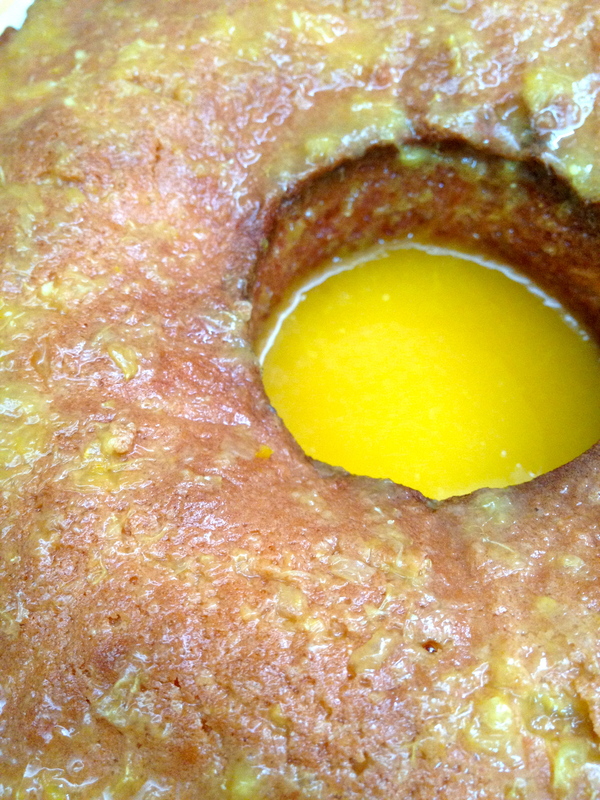 It’s not exactly my simplest cake recipe – you have to separate eggs and all that – but it’s definitely not tricky. Using fresh-squeezed orange juice is, of course, be ideal, but don’t feel bad if you can only get the store-bought stuff. Preheat the oven to 350F/180C. Grease a bundt pan. With electric beaters, beat the egg whites and 1/4 cup sugar in a small bowl until firm. Set aside. In a large bowl, beat the egg yolks, 1 cup sugar and zest until smooth. In a medium bowl, mix the flour, baking powder and salt. In a small bowl, mix the orange juice and oil. Now…to the egg yolk mixture, slowly add in increments the flour mixture and the juice mixture. When that is smooth, gently fold in the beaten egg whites. Until just mixed. Pour the batter into the prepared pan and bake for 45 minutes or until a tester comes out clean. Once the cake is out of the oven, remove from the pan and place on the serving plate. 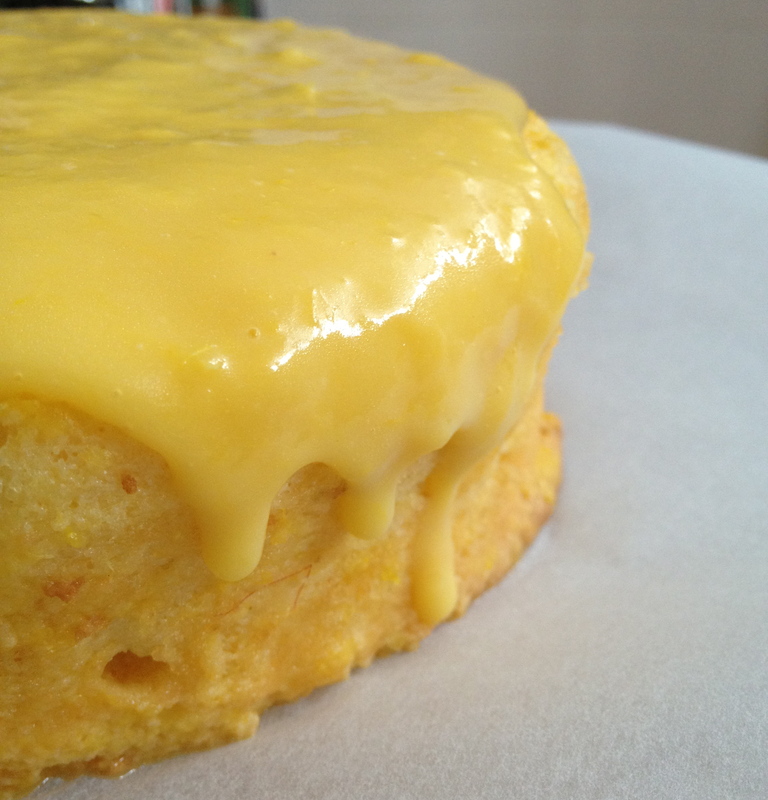 Pour 2 cups of orange juice over the cake. It’s going to seem like a lot of orange juice but just wait! It will soak in! In a small pot, mix all of these ingredients – except the butter and zest – and bring to a boil, whisking constantly. Once it’s boiling, remove from the heat and stir in the butter and zest. Frost the cake once the frosting has cooled slightly and the cake has cooled completely and all the juice has soaked in. Why do you make me cry?!?!? What a special cake with a special story. And to imagine that Stella and your great grandmother were born on the same day! We are certainly woven to our families more than we realize. Thanks for sharing this heartbreaking yet heartwarming story! I’m going to wait until oranges are in season so I can give this cake my all. thank you for reading it…I felt like maybe the story came out a bit flat, but to be honest when my mom told me I burst into tears (which – surprisingly? – is not that common for me). 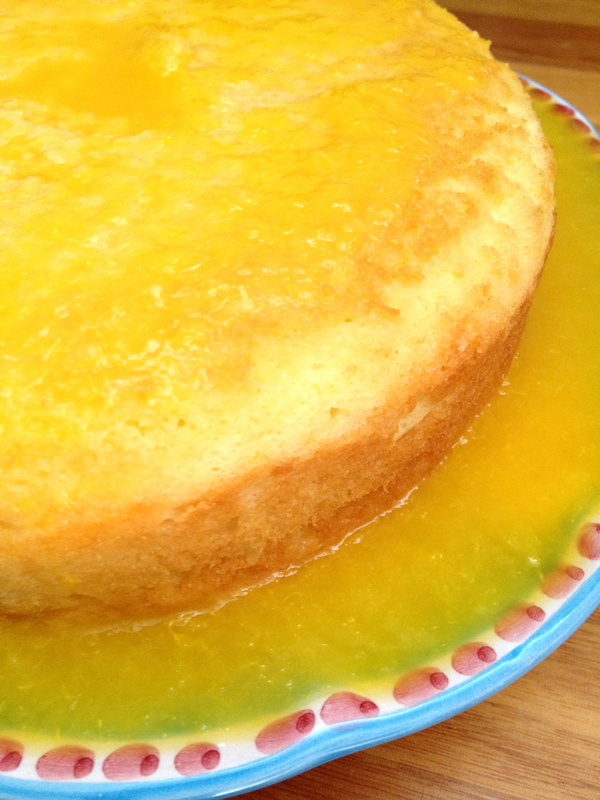 The cake is delicious and definitely deserves fresh in-season oranges. It’s incredible how much juice it soaks up…just another incredible thing about it. Thanks, Auntie! I’ll be sure to make this when we visit in December! I can’t wait – both to see you and now to eat more cake! Yum! Beautiful narrative. Thanks for sharing this.